Thank you so much for approving my request for scholarship so that my daughter Levana can use your program! Thank you for all the support on how to use it too! I have customized a couple of videos for her to include Russian words, and she's been watching these for the last couple of weeks. We are still finding our feet with it and I am going to try a few things for her, but everyone has noticed the difference already. Her teachers at the nursery started telling me that she is making so many more sounds and repeats words after them much more clearly. And that was before I told them that we started using Gemiini. And at home we have noticed that Levana is communicating more clearly and making new sounds and trying new words. Thank you so much! We are going to continue with it and looking forward to all the wonderful progress that she's making. Our play therapist (this is a free service our local council provides for children with special needs) was so impressed and asked me to forward her the details of your website, because so many parents ask her about improving speech of their children, but unfortunately our local (free) speech and language therapists do not provide any help for improving pronunciation and articulation of speech. They are more orientated towards using signing (which I don't mind) and communicating in this way, not really focusing on speech. But I (like many other parents) want my daughter to communicate clearly to others around her. She is such a social soul and loves being around other children. I so look forward to when she can chat to her friends and other people and be understood by them! Thank you again for your support and for creating such fantastic tool! We have been using Gemiini for approx. 2 months with our son (6 years old with DS). His reading and articulation have improved drastically in that short amount of time and we can't wait to see where he goes with this! Since using Gemiini his reading level has probably tripled. He was struggling to read two-vowel words at the end of the school year and now after these 2 months he is probably reading at a 1st grade level. What's so amazing is that we can now UNDERSTAND what he's saying!! He was very hard to understand but with the articulation tools on Gemiini we are amazed by the results. The program is easy to use and it is very effective for kids with Down syndrome who are visual learners like our son. We couldn't be more pleased! Using the potty training video for 3 days now with my 5 year old non-verbal son and he has successfully gone pee 2 mornings in a row now!! Dad and I have been working hard at potty training and we are now seeing results after just 2 days of watching the video!! Sooooo happy with the results I am seeing from my son and this program! I wish I would have started last year! I have 3 children with various learning challenges. My most severe is 13 years old and unable to read & write. She has had many MRI's, FMRI's, intensive remedial reading instruction and more. The top experts at UCLA have diagnosed her as she will never be able to read due the the structure of her brain and no semantic overlap of auditory & visual fields. All this data aside, we tried Gemiini over the summer - in 6 weeks she began reading for the first time in her life at 13 years old - and she went up 4 grade levels in 6 weeks. This is a miracle! Gemiini has a scientific approach and systematic process to teaching all types of children with all types of neurological & developmental issues. Gemiini is much more than just video close up shots of lips & words - there's a lot going on here - and the results are positively mind blowing! I feel I want to stand on the rooftops and shout, "There is Help people!! Gemiini!!" After being referred by our SLP, I decided to sign my 6 year old twin boys up for Gemiini, Best decision ever!! Tonight they played some game and the one asked the other "Where is my ball?" and his brother responded "It’s under the table!!" My heart was skipping so many beats!! I just know here is something amazing happening with my boys!! Something is being unlocked!! They speak in some secret language with each other also but this last few weeks I noticed they are doing it less and less, Happy Mom. Thank you Gemiini, thank you Laura. My 12 year old with autism has been completely non-verbal his whole life, not even sound imitation. Within 3-4 weeks of using Gemiini (he watches about 30-40 min a day total), he now says 'pop' (for popcorn, one of his favorite foods) and 'bye' (not extremely clear, but it is there). He is also starting to form sounds/letters with his mouth (no voice, yet). It's a wonderful start for him! I've cried many days since we started about 6 weeks ago with the program. Tears of joy! His SLP is very on board with Gemiini and uses it with him and several of her other clients now. We can't wait to see what the future holds! I would say definitely give it a try for about 6 months to see what happens. If my completely non-verbal son can say some words after using Gemiini, I would say ANYONE can get some benefit from it. I wish he had quicker success, however, I keep telling myself that it takes babies 3-4 years to vocalize language, so I shouldn't expect 'quick results' from my son. "He did wonderfully. At least two people remarked how Craig has become more vocal. One said she was impressed that Craig looked at her when talking--something I must admit I was not working on. I was very excited! I was so proud of him. Wanted to cry!" I told her I feel the same way!! We are also practicing cell phone skills. Yesterday I called him and we had an actual conversation! Granted, it was just me asking him where he was and questions about his day, but this was the first time he actually answered my questions instead of randomly saying "Craig" or "Mom." Today I started Gemiini as a group in a class with 10 kids with autism. During the VERY FIRST video, one of the kids who has never said a word before in his life said "bear!" And he did the sign! I ran up to him and said "yes buddy! That's a bear!" He looked at me with the biggest smile ever and said again "bear!" Then, for the first time ever, he went up to a peer and gave a high 5. The teacher was stunned. I was in the class consulting for a few hours and our star student said "bear" 29 more times! I left the class before the second viewing but tomorrow morning I will return and I just can't wait to see the progress! This was IMMEDIATE acquisition upon viewing Gemiini. Even after two years of using Gemiini, these successes still bring me tears of joy! 50% of this class is now talking! These students who were all non-verbal just a week ago and are now creating vocal verbal speech. The school wants me to train the entire district on Gemiini after seeing this in action for just one week. We started in September when my son, who has autism, mainly spoke in 2 word sentences ("want drink"). Anything longer than that, the structure of his sentences made no sense at all (pragmatic language disorder). His receptive language was also really poor and most of the time he'd just say yes to everything I said because he didn't know any other way to respond. All this has changed with Gemiini, and last week my son who used to act like other kids didn't exist stood up in front of his class for show and tell and asked and answered everybody's questions for ten minutes with no support. I'm sharing this all over the place because I think everyone who has a disability or condition which affects speech development should try this. This is an amazing program! 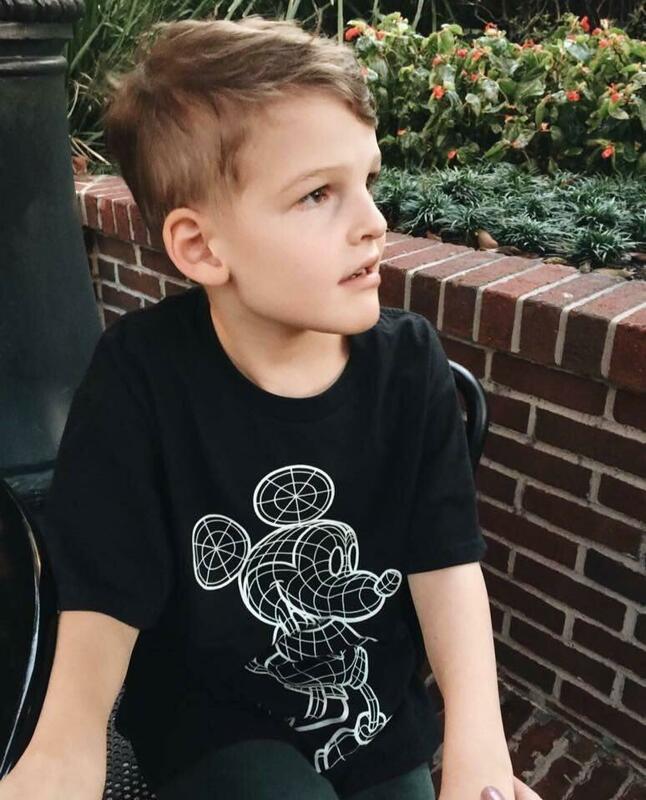 My son, Liam, has autism and apraxia in just three short months his vocabulary has gone from less than 10 words to around 100 words. His understanding is through the roof and the progress is amazing. He has also started multi-syllable words too! I will recommend this to anyone I speak too that has a child with severe speech delays here in Australia. Lydia is an spunky, sweet, music loving 4 year old that was diagnosed with ASD, dyspraxia, and SPD just after her 2nd birthday. She had, up until recently, been qualified as non-verbal as well. She had some words and sounds that people with her regularly occasionally could understand. We knew she could understand more than she could say. We started Geminii on a trial basis in January of this year. Within a week Lydia was making more eye contact, trying to initiate interactions with peers and adults across her home and school environment. She was watching people’s mouths when they were speaking. She began to babble and tell stories, only those of us with Lydia regularly could understand, but she was telling them. We knew we needed to continue this journey. In March Lydia would come home from school or aquatic therapy and tell me stories. One word here and there in a sequence that she wanted me to to repeat to be sure I understood, (“Pool” “You went to the pool?” “Water” “You went swimming in the water?” “Under” “You went under the water in the pool today?”). We were having a conversation! Both of us were excited and she told the story all night. In April, she grabbed her brother’s microphone, brought it into the living room and sang all of Twinkle Twinkle Little Star. We were all so proud that she sang it to us for 20 minutes straight, scanning the room each time she began to be sure all eyes were on her and if they weren’t, she would shout a, “Hey!” to command her audience and begin. 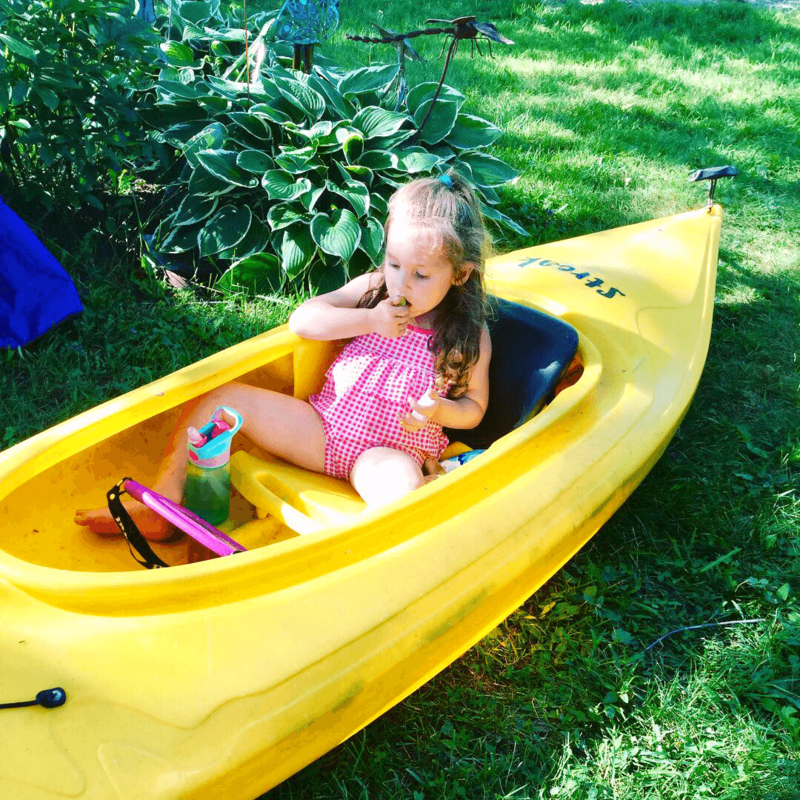 At a recent team meeting with her preschool, everyone raved about how amazing they felt she had improved in the past few months. They had done a mini language inventory for a few days and she was talking up a storm and imitating just about anything. She had improved to minimally verbal and thriving in that short time! We are so gratefully the program. She has favorite lessons and watches them anywhere! It's happening! My son just came up to me and said "up!" Because he wanted me to get up and come with him. This is the first time he's said up, instead of uh, and the first time he's ever said anything independently, without prompting. I am so proud of him, and so excited. We just started Gemiini 6 days ago! JJ started using Gemiini for the second time six months ago. During that six months he has gone from a vocabulary of 20 words when prompted to over 100 words with independent short sentences. His growth has been so great that his teacher is now integrating Gemiini into her program at school for JJ and the rest of her class. Raising a child with special needs really does take a village and we would like to thank Gemiini for being an integral part of our son’s village. Mila's Language is Blooming with Gemiini! "Mila is 4 years old adopted from China at 2.5. She was completely nonverbal when she came home. We searched for something to encourage speech and found Gemiini! She adores all the signs & animal sounds. And we are even seeing her copying the sounds of the words she is learning. She is blooming right before our eyes. We are excited to see how far this program will take her." Lily is requesting in sentences after using Gemiini! "I am SO excited to post this video. Last week I saw a video on IG showing a child with Down syndrome learning through the Gemiini system. I was intrigued and signed up for a free trial week. Lily has only been using these videos for a few days,and we are already seeing huge progress in her speech. She has always struggled to add the ending sounds to words - but notice in this video she very clearly says FOOD and CUP with the ending sound. She has also struggled to pronounce words that start with F, so the fact that she is saying FOOD properly is huge evidence that this learning program is already working. Sam and I are so anxious to see what Lily’s speech is like in the months ahead, if this is the result we are seeing after just a few days of lessons ❤️ We have also heard her say words the past few days that we’ve never heard her use before .. and asking for things using sentences. Rather than her traditional “la la la Cheerios” she is saying “I want Cheerios, please” without any prompting! Go check out gemiini.org and tell them Lily sent you ☺️"
“Alex is 6 years old, he was diagnosed with ASD just after his 2nd birthday. He has some motor planning issues and apraxia of speech. When Alex was 4 we started Gemiini. We were doing good, he was attempting sounds he had never made before, floroscopy got him interested in his mouth and tongue and he would look in our mouths to see how we made words. We also saw eye contact increase, more awareness but speech is huge challenge so I knew we were in for a lot more work. No clear words in the 18 months of Gemiini. DOWN SYNDROME- Improve Comprehension and Understanding! "We started the program [Gemiini] a week ago. I'm super impressed. This is Emry- he's 13 months with Down syndrome." Felix is 5 years old and had started saying one word at a time. For example, jump, come, mama, dada etc. to indicate needs before we started Gemiini. Started Gemiini in May of this year. A week after starting, I took a video and was surprised that he could say the words on the flash cards. That gave me hope. We were told he would never talk. We used Gemiini with Alex for 1.5 years and it really worked for us. 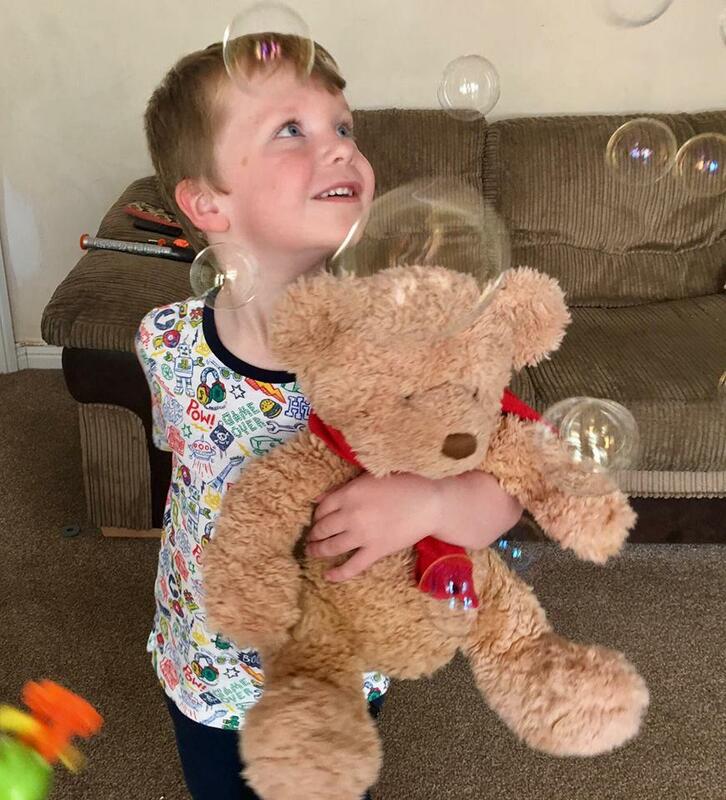 Alex started to speak after 4 months of using Gemiini and he showed a massive improvement in eye contact and receptive language from week one. Alex is no longer classed as non verbal and 90% of that I would say is due to us introducing Gemiini at a young age. Definitely worth it. We are in the UK and stumbled across Gemiini in a desperate attempt to help our little boy. As I said, it worked wonders. My little boy also has Apraxia- hence why the speech did take a bit longer. In a classroom of his peers the professionals now have great difficulty even pointing him out as many of his ASD symptoms (traits etc) have reduced dramatically. Thank you for such a fantastic resource! So, there's this new program I was told about (last year by Aunt) that I finally decided to give a try. We literally joined it on my daughter's birthday (9-8-17 at 2:30am). To be fair, I looked into it a couple times after my Aunt told me about it, but the pricing is pretty outrageous ($100/month), so I quit looking into it. Then, suddenly it popped up as a sponsored post on Facebook, talking about scholarships. I haven't thought much about it nor looked it up in probably a year now. I looked into it and investigated it (including YouTube videos of real users) and that seemed to draw my non-verbal son and my verbal daughter both in, so I signed up for the free trial figuring it would be really awesome or I'd cancel if it wasn't. Meanwhile, I applied for the scholarship, thinking it made it free, but it actually makes it $30/month, for all day, all the time access (except when it crashes, but I take that to mean we need a break when it happens). So really, really wordy to get to this point: apparently the GemIIni program is extremely, extremely effective for my son (and my daughter loves it too). We watched 4-4 1/2 hours tonight, with a short break when they both walked away from it for about 30 minutes. It has premade videos and allows you to create your own videos put together from theirs (and to upload short videos of your own, actually, but those require them agreeing before you can use them). So, while this may just be how it's going for us, it definitely seems worth it if you have a kid with speech issues. It's essentially speech therapy (for less than the out of pocket we'd pay for less than we used it tonight alone). We've not used it two nights since joining because the kids passed out, but have otherwise used it every single day. And my son is starting to talk more. He said "mine" tonight at nuggets so my daughter wouldn't take his. Gracias.tengo dos dias y llevo dos secciones con mi nina de 5 anos ella no habla mas que intenta decir dos otres palabras y con este programa ella intenta decir cualquier palabra y lo mas importante imita la articulacion de la boca , espero segir con este programa .Muchas gracias y lo voy a recomendar ampliamente. 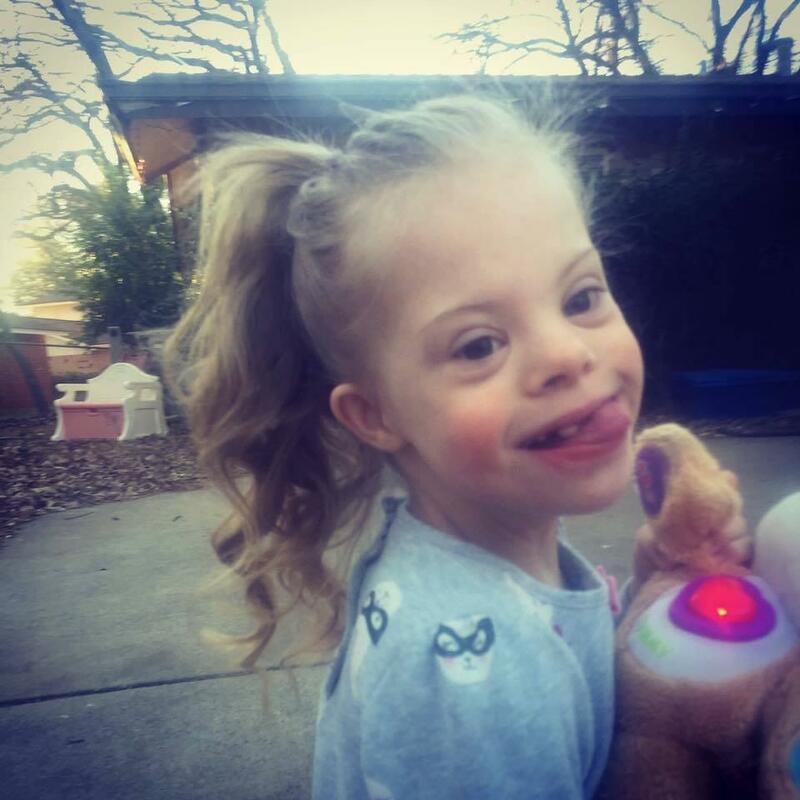 Ceris (rhymes with Paris) is 8 and has Down Syndrome, CAS, a protruding tongue, hypotonia, and Autism. She has had ST, OT, and PT since she was a baby. She has had swallow studies, sleep studies, and she is currently scheduled for another swallow study. We have done home therapy, gone to specialists outside of the home for ST/OT/PT as well. We've tried the preschool prep, abcmouse.com, we've tried where you put her hand on our throats to feel the vibrations. She's never been interested. Then we heard about Gemiini, and have been using it since September of 2015. We were about to cancel it in July of 2016 because she just wasn't interested in it. We were broken. When we really didn't have anywhere else to turn, we realized that Ceris is just a late bloomer. For example, even with all the therapies, she didn't even start walking until she was 3 1/2. So Gemiini was the only thing she was any sort of interested in. So we started picking up the pieces. Although she is still not at a conversational place yet, she will get there, and we have Gemiini to thank for that. I’m so glad we didn't give up. Honestly, I cannot express how heartbreaking it is to tell my daughter I love her and she not say it back. She now says, "Hi" to everyone she knows. She says "bye-bye" she literally started waving last week. She is not potty trained, but she says "pee-pee” when she wants to go potty. She can say lion, fish, monkey & makes the ooh-ohh ahh-ahh monkey sound. She can say green, purple, blue. She can say rectangle, triangle. She can SING her ABC's and she can COUNT to TEN! Although she doesn't say, "I love you" yet, she says "Nite-nite" since using Gemiini, she follows instructions more, such as paying attention when we are at the store, or wherever and she will stay in line at school. She stays in her seat more at school, and she is more attentive in general. She used to be mostly in her own little world, but now things are just starting to 'click' with her. We are unbelievably grateful for Gemiini. They say having a child with special needs is like taking the scenic route. You still get to where you are going. It may take a little longer, but it will be well worth the trip. And Ceris is an amazing tour guide. I stated earlier that we were broken. Well, Gemiini has truly been a piece we've been missing. As you know, progress is progress, no matter how slow you go. Gemiini has helped us become whole, and Ceris will be very verbal with time and practice (and lots of patience & faith)." Two years ago, a friend sent me a link she saw on Facebook, and I scanned over it but put it in the back of my mind because it seemed too good to be true. I thought only "real" speech therapy would help. Finally, something told me to give it another look, and I had a different feeling...hope! I figured we had nothing to lose. We are now almost a year in, and I've seen my 7-year-old previously non-verbal son go from screeching as his default communication to attempting words first. He also has private speech therapy twice a week, but his therapist works with what he's learning through Gemiini to layer his therapy. We are witnessing a miracle. "What if we had tried this two years ago? Where would my son be now? Do any of you want to wait two years if there is something out there to help now?"